A 28-year-old man has been jailed for 160 days for causing a disturbance at the Borders General Hospital at Melrose. Scott Carmichael pleaded guilty to shouting and swearing, repeatedly striking furniture and struggling violently with police officers in the hospital on July 8 last year. He also admitted a charge of behaving in a threatening or abusive manner while on bail. 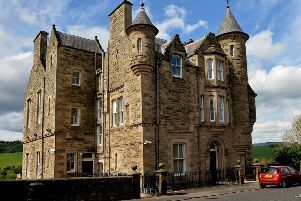 Selkirk Sheriff Court heard that Carmichael, formerly of Gala Park Court in Galashiels, is already remanded in custody in connection with another matter in Edinburgh.